Private Nursery & Prep School in Henley-on-Thames, Oxfordshire. "Where friendships, dreams and ambitions take shape and grow"
Welcome to St Mary’s, a leading independent school, located in beautiful Henley-on-Thames, Oxfordshire. We provide education and inspiration for children in Early Years through to Year 6 before they move on to some of the most selective of secondary schools. Our website aims to give you a snapshot of life at St Mary’s and of what we can offer your child. What it cannot do is to convey the warm, lively and productive atmosphere that prevails here. We place equal value on intellectual rigour and enjoyment of learning so why not come and see St Mary’s for yourself and watch the school at work. St. Mary’s Year 6 pupils have all succeeded in securing a place in their secondary school of choice! 14 pupils collected a total of 12 scholarships and awards including academic, drama, music and sport. 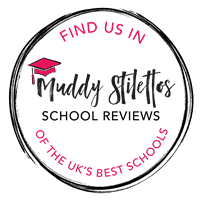 ‘I loved this intimate, friendly co-ed prep school… Excellent academic results and a relaxed ethos – not natural bedfellows, but it seems to work here!’ Muddy Stilettos review St. Mary’s. Our informal coffee mornings give you and your child the chance to play in our nursery facilities, find out what we can offer and meet new friends.